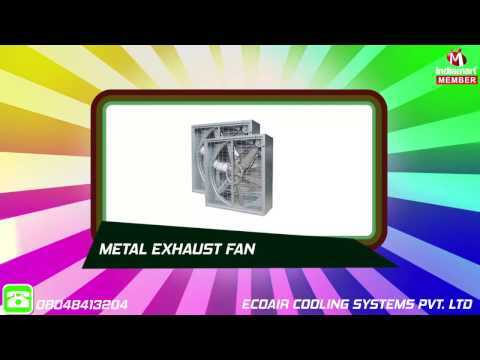 Founded in the year 2011, Ecoair Cooling Systems Pvt. Ltd. is amid the most distinguished names betrothed in the business of Manufacturer a comprehensive plethora of products comprising Industrial HVLS Fan, Evaporative Air Cooler, Industrial Evaporative Air Cooler, Industrial Air Cooler, Humidity Control Air Cooler, Commercial Evaporative Air Cooler, Industrial Exhaust Fan, Metal Exhaust Fan and Commercial Kitchen Exhaust Fan etc. Manufactured and developed at our vendors end using finest grade basic material and state-of-the-art tools & machinery, our offered assortment of products are examined on varied of norms and standards before final delivery of the order. Along with this, their varied applications in varied industries make these highly commended and mentioned.